← Last chance to make money with Solar PV? Headlines over the last few days have been filled with tales of woe, with five of the U.K.’s six biggest energy companies announcing significant price rises. But what’s happening in the rest of the market? The U.K.’s biggest energy supplier, British Gas, announced rises of 6% across both gas and electricity last month, adding £80 to a typical duel fuel bill. Scottish Power, meanwhile, have increased their rates by 7%. Provider SSE, which operates as Southern Electric, Swalec and Scottish Hydro have increased their rates by 9%, and Npower have followed suit. 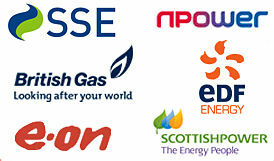 EDF are the first to surpass the 10% mark with a rise of 10.8%. E. On have yet to announce any changes, however they are also expected to announce a rise soon. The increases will be coming into effect between now and early December. The hikes have caused many customers to switch provider – so what is happening across the market and where can the best deals be had? Well, sad to say, some smaller companies have followed suit, with Good Energy, a 100% renewable energy company, increasing its rates by 9%. Another smaller firm, Ebico, are implementing a rise of 10%. OVO Energy is joining E.On in committing to no rises before the end of 2012, but that’s cold comfort given how much of the year is left. David Cameron made waves several weeks ago when he talked of plans to force energy companies to put their customers on their lowest tariff available. Whilst significant, well documented backtracking has taken place since then, it has been confirmed that energy companies will be obliged to make customers aware of their cheapest tariff if they are not already on it, which is welcome news. Experts across the industry agree that signing up to a fixed-rate tariff is currently the best way to go for most customers. On average a customer switching to a fixed tariff plan will save around £300 a year. Because of this, many of the larger suppliers are offering a fixed tariff as standard, with protection from price rises for between 12 and 24 months. The most certain way of protecting yourself from energy prices is to reduce your reliance on energy supplied by the companies. You can do this either by increasing your energy efficiency with improved insulation or glazing or by generating your own electricity using solar power, burning wood, or even capturing heat from the ground or air – the possibilities are huge. Why not take our quick home assessment and see how you could cut your bills? 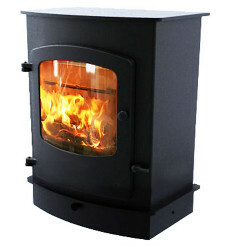 This entry was posted in Green Lifestyle and tagged Energy price rises. Bookmark the permalink.